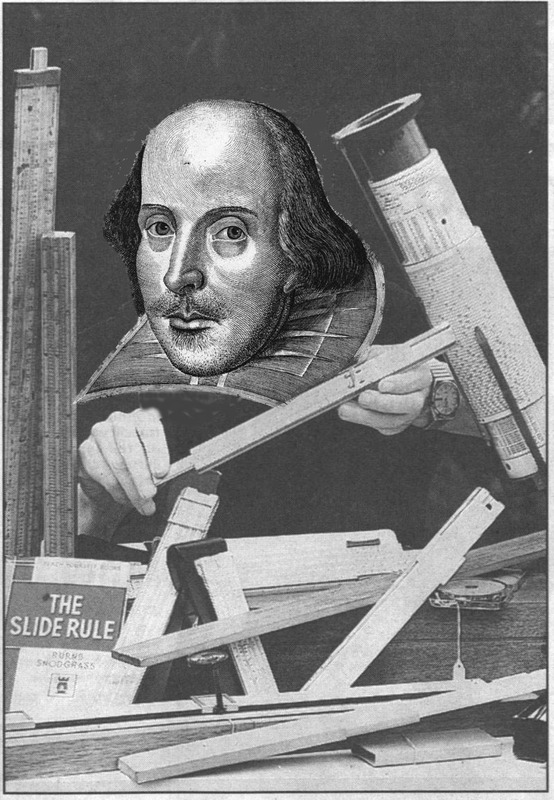 when & where The International Meeting 2018 of collectors and researchers of slide rules and other historic computing instruments or IM2018 for short will be held on 21-22 Sep 2018 at the Stratford Hotel, Stratford-upon-Avon England. DoubleTree by Hilton Stratford Upon Avon. Its location is unchanged!! registration Register for the IM and reserve your room at the conference hotel - now ! We really would appreciate it if you could register at your earliest convenience. It is not necessary for your paper to adhere to this theme although we are sure that some will! Since we are hosting this conference at the birthplace of the Bard it was almost inevitable that our theme would be related to Shakespeare. We hope that this theme will give free rein to your imagination! Next to this special theme, we are open for all kinds of submissions for our conference, as in all the previous years. Here is a formal Call for Papers with some more details, and for the Proceedings we have prepared some notes with Guidelines for Authors. It will start on Friday, September 21st, at 14:00, with registrationa followed at 15:00 by Welcome. This will be followed by the traditional swap and demo session which will allow us to swap, sell/buy, demonstrate or just inspect slide rules, other instruments, literature or associated materials. In parallel with this will be a display of Long Scale Rules and old English Rules. On saturday 22nd, we will start the paper sessions at the hotel. Here we have the schedule. display All attendees are invited to bring to the meeting one or more interesting slide rule specimens from their collections. These specimens will be displayed (in a secure room) for the interest of all those present at the meeting, and returned to their owners afterwards. For a meeting held in Shakespeare's birthplace, it is felt that an emphasis on England is excusable. Therefore, specimens for display may be of any shape or size, but should have been made in Britain before 1914. If you intend to bring any of your slide rules for display at the meeting, please notify the display organiser, Trevor Catlow, of your intention as soon as possible. Trevor's email address is catlow_jt@postmaster.co.uk. You should include the maker's name, the model number if known, and any other snippets of useful or interesting information about each example you intend to bring. We do have a secure room for their display. partner program Here we have the details of the partner program. Stratford-upon-Avon is a market town steeped in more than 800 years of history, including its most famous resident, William Shakespeare. Stratford is 22 miles (35 km) south-east of Birmingham. It is close to the Cotswolds, with Chipping Campden 10 miles (16 km) to the south. Suburbs and areas of the town include Shottery, Bishopton, Bridgetown, Tiddington, and Old Town. 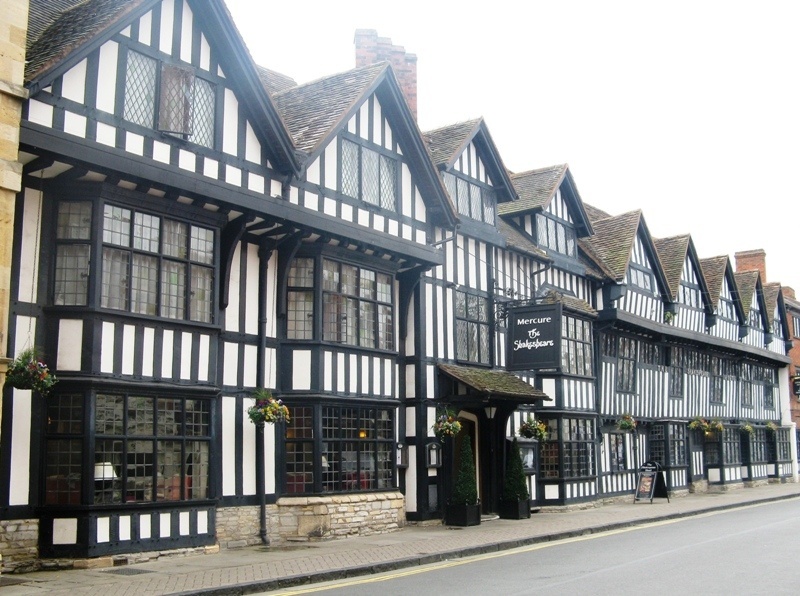 Stratford has many of the town's earliest and most important buildings located along what is known as Stratford's Historic Spine, which was once the main route from the town centre to the parish church. The route of the Historic Spine begins at Shakespeare's Birthplace in Henley Street. It continues through Henley Street to the top end of Bridge Street and into High Street where many Elizabethan buildings are located, including Harvard House. The route carries on through Chapel Street where Nash's House and New Place are sited. The Historic Spine continues along Church Street where Guild buildings are located dating back to the 15th century, as well as 18th and 19th century properties. The route then finishes in Old Town, which includes Hall's Croft and the Holy Trinity Church. Before the dominance of road and rail, Stratford was the gateway to the network of British canals. In 1769, the actor David Garrick staged a major Shakespeare Jubilee over three days which saw the construction of a large rotunda and the influx of many visitors. This contributed to the growing phenomenon of Bardolatry which made Stratford a tourist destination. Stratford has a temperate maritime climate, as is usual for the British Isles, meaning extremes of heat and cold are rare. Sunshine hours are low to moderate, with an average of 1512.3 hours of sunshine annually. Rainfall is spread evenly throughout the year, with an annual average of 614.8 mm (24 in), with over 1 millimetre (0.039 inches) of rain recorded on 114.1 days per year according to the 1981-2010 observation period. Tudor World is a museum which explores the time when Shakespeare lived. It is based in a Grade II* listed town centre Tudor property and is the only museum in the country dedicated to Tudor times. Every week there is a walk around the town with Shakespeare. There are five houses relating to Shakespeare's life which are owned and cared for by the Shakespeare Birthplace Trust. 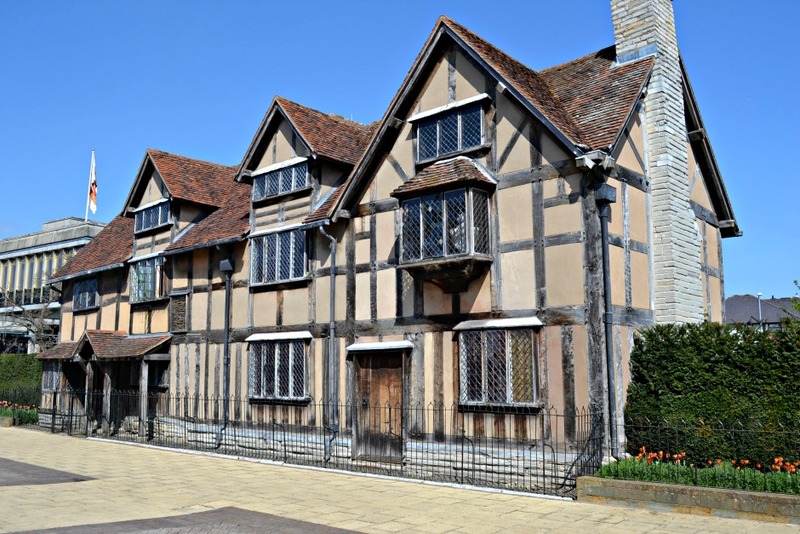 These include Hall's Croft (the one-time home of Shakespeare's daughter, Susanna, and her husband Dr. John Hall) and Nash's House, which stands alongside the site of New Place which was owned by Shakespeare himself, wherein he died. 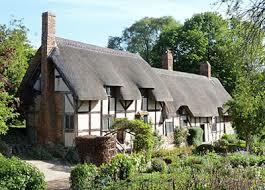 In Shottery is Anne Hathaway's Cottage, the home of Shakespeare's wife's family prior to her marriage. Mary Arden's House (Palmer's Farm), the family home of his mother, is in Wilmcote. Elsewhere in the district are farms and buildings at Snitterfield, that belonged to the family of Shakespeare's father. For delegates who wish to spend further time in and around the Stratford area, here is a link to places of interest. accomodation Our conference hotel is the The Stratford Hotel in Stratford upon Avon. It is the location of the conference. All you need to know about staying in The Stratford (hotel rates, reservations, etc) is documented on a separate accomodation page. DoubleTree by Hilton Stratford Upon Avon. 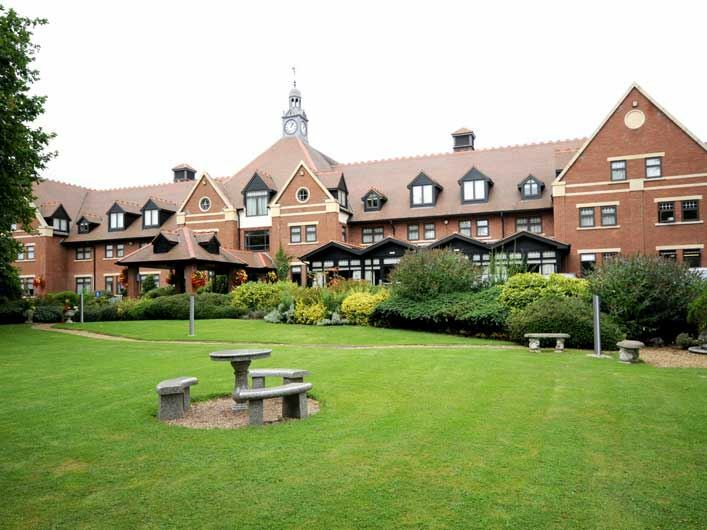 travel info Stratford and our conference hotel is easily and conveniently reachable by car, train, or plane. The Stratford Hotel is situated close to the centre of Stratford and to the main train station. Clicking on the maps below will show you map selections by Google Maps and OpenStreetMap. important dates Here you will soon find deadlines for the submission of your paper, hotel reservation, etc. As soon as possible please contact rod@lovett.com with your intention to submit a paper to IM2018 with its intended subject and preliminary title. proceedings Each participant will get a copy as part of	their conference package. Additional copies will be available at the conference at a special price. The International Meeting is a yearly event for collectors and researchers of slide rules and other mathematical instruments. The 2018 meeting will be the 24th in this series. The IM is traditionally organized by volunteers of three informal associations, RST from Germany, KRING from the Netherlands, and UKSRC from the United Kingdom, on a rotational basis. The style of our meetings is informal and non-profit, in the best tradition of both amateurs in the classical sense and serious researchers. In recent years the Oughtred Society organized two meetings in the US, and in 2016 the IM took place in Italy. More about the IM series of conferences is available on the IM history web page. acknowledgement The structure and a significant amount of content for this site has been taken from the web site organised by Prof. Karl Kleine for the IM2017 Conference in Bonn. In my opinion this sets a very high standard for advertising our conferences.